Our dogs fill a special place in our hearts. They provide an unwavering amount of love and affection; they are there for us in the good times and the bad, which is why dogs are fondly referred to as man’s best friend. The following dogs from The Lost Dogs’ Home’s North Melbourne shelter are currently looking for their very own best friend. Could you be the perfect companion they are looking for? 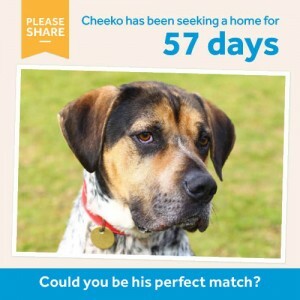 A big dog with a big heart, one year-old Cheeko has been looking for his perfect owner for 57 days. This loyal gentleman would love nothing more than to pass away the day beside his nearest and dearest and would suit an owner who enjoys having their faithful companion by their side. This hound cross has spent some time in obedience classes, but he would benefit from ongoing training to build on his good doggy manners. A patient gentleman, Cheeko would suit an owner who is willing to put in the time and effort to help him manage his excitement and strength. A gentle and tolerant dog, he would make an ideal family pet, but due to his young age and size, he is best suited to a family with older children as he can get excited and become unaware of his surroundings. 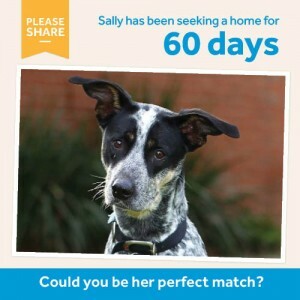 One year-old Sally is an intelligent and dog who has been looking for her ideal owner for 60 days. This heeler cross is an active dog and will suit an active owner who understands that this loving girl will need plenty of physical and mental stimulation to keep her happy and active. Sally prefers the company of adults rather than children and other dogs and is therefore best suited to a home where she can be the main dog in your life. She has spent some time with our behaviour department to help manage her separation anxiety. Today Sally is a much more confident dog and has shown great improvement around her separation anxiety. Sally will need an experienced owner who is committed to her ongoing training and development. 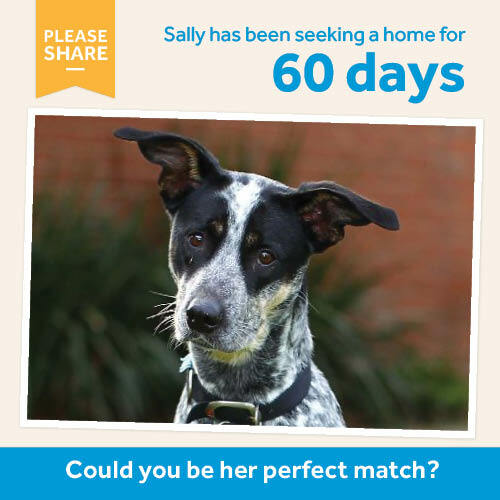 With an active and committed owner, Sally will blossom into a loyal dog and a true companion. Bull Arab Cross, Clam is a big, beautiful boy who has a lot of love to give. He is an active dog who needs an owner who is committed to keeping this two year-old physically and mentally active. This personality-plus charmer has spent some time with the Home’s behaviour department to help build his confidence. 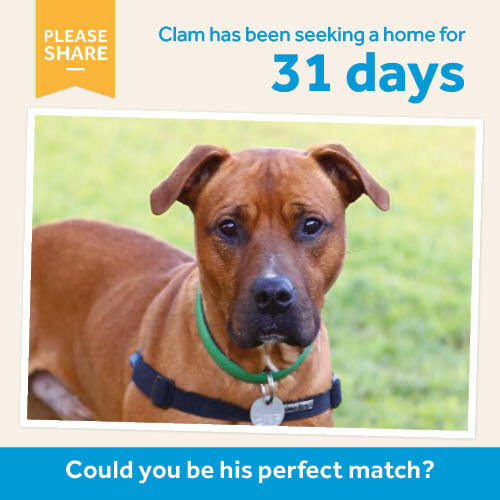 Now confident and friendly, Clam is ready to go to a home with an owner who is committed to his ongoing training. This affectionate boy prefers the company of people and would need to be the main dog in your life. With the right owner, this happy-go-lucky lad will become a loyal member of the family. If you think that you are the paw-match for these loving dogs, come down to our North Melbourne shelter at 2 Gracie Street, North Melbourne and meet them in the fur. Sally and Clam have been through our behavioural program, so please call our North Melbourne shelter on (03) 9329 2755 for more information and to book a pre-adoption appointment with our staff. All of our adoption candidates are temperament tested, vet checked, vaccinated, wormed, microchipped and desexed.